As you know by now, all parents have a different idea of what is healthy food and what is not. For years, you have had the opportunity to hand-select and monitor what your child eats for lunch. Now it is time to test their ability. It is only natural for your child's eyes to wander and notice, and be envious of, what the other kids are eating. 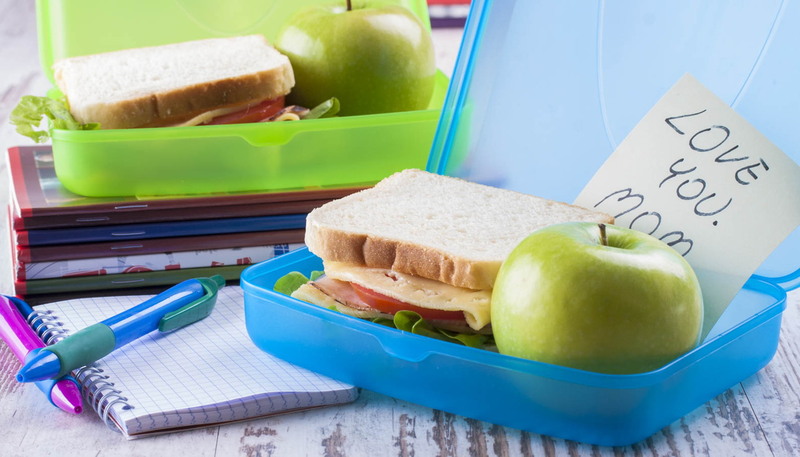 Here are a few tips that may help your child's lunch be healthy, fun and get noticed by the other kids. It is important to have the right gear and the lunchbox is an important asset. Consider letting your child pick out his own lunchbox or purchase one and let him decorate it with paint or markers. 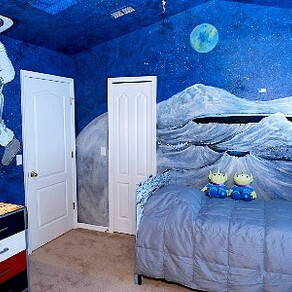 Make sure your child's name is on it with a permanent marker or paint. 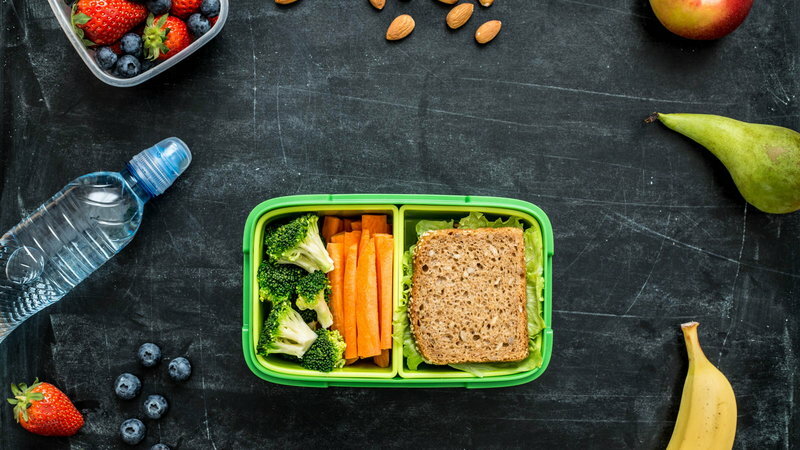 Most schools will not provide a refrigerator to store lunchboxes, so you should select an insulated one with a reusable freezer pack to keep the lunch fresh. Or, instead of using a freezer pack, you can freeze a bottle of water and add it to the lunch box. It will keep the lunch cold and fresh during morning classes, and by lunch time, it will have thawed and be ready to drink. Those gimmicky, salt, fat and sugar filled "Lunchables" trays are very popular with kids. Not because they taste so good, but because look so cool. There is no reason a homemade lunch needs to look dull and unappetizing. Buy colorful containers in different shapes to pack your child’s lunch. They are better than plastic bags and less wasteful too. If your child is drawn to characters, buy some stickers and decorate the containers. Put your child's name on the containers, but it is inevitable that some containers may not make their way home. Another option is to purchase inexpensive or "semi" disposable containers that will not disappoint you if they accidentally end up in the trash. Don't assume that your child's uneaten lunch is sign that he did not like the food. If you ask a few questions, you may find that your child does not have enough time to eat lunch or that he is spending more time socializing with his friends than actually chewing. Asking questions will give you the opportunity to help him learn other important skills such as managing his time and selecting times to socialize. Assemble the mini-kabobs on a toothpick in the following manner: Ham square, pineapple chunk, ham square and a cheese cube. Veggie version: Substitute teriyaki-flavored baked tofu for the ham/cheese. Baked tofu can easily be sliced into small cubes and is very tasty with the pineapple. Combine any or all of these ingredients in an airtight container and toss gently to mix. Store airtight. Lasts for weeks. Ingredients: Dry snacks: cereal (low in sugar – under 5g per serving), small pretzels, graham cracker or rice cake pieces, or animal crackers. Dried fruits: Cherries, apricots, raisins, mangoes or coconut flakes (Tip: big pieces of dried fruit can be cut up easily using kitchen shears). Nuts and seeds: sliced almonds, pecan pieces, cashew pieces, pumpkin seeds, sunflower seeds or peanut pieces. These wraps can be served as a traditional wrap sandwich or slice it into pieces (like a sushi roll) for bite sized treats. Ingredients: 1 tablespoon peanut butter or sunflower butter 1 tablespoon cream cheese 1/2 kiwi Tortilla -- whole wheat or plain (squared) Instructions: Remove the skin from the kiwi and slice it into thin rounds. Spread peanut butter over half the wrap and cream cheese on the other half of the wrap. Arrange the kiwi slices evenly over the cream cheese. Beginning on the cream cheese end, gently roll up the tortilla forming a log shape. The peanut butter will act as the glue to keep it together. Serve. About the authors: Cheryl Tallman and Joan Ahlers are sisters, the mothers of five children, and founders of Fresh Baby (www.FreshBaby.com). Their goal at Fresh Baby is to make the task of raising a healthy eater a little bit easier for all parents. 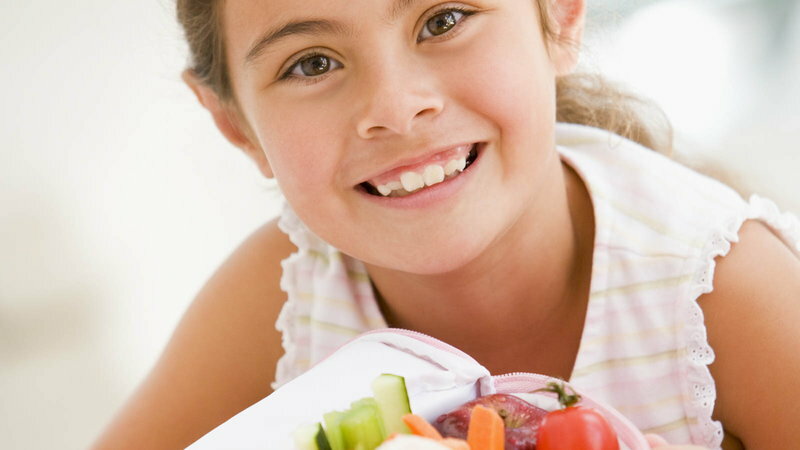 Visit them online at www.FreshBaby.com and subscribe to their Fresh Ideas newsletter to get monthly ideas, tips, and activities for developing your family's healthy eating habits!